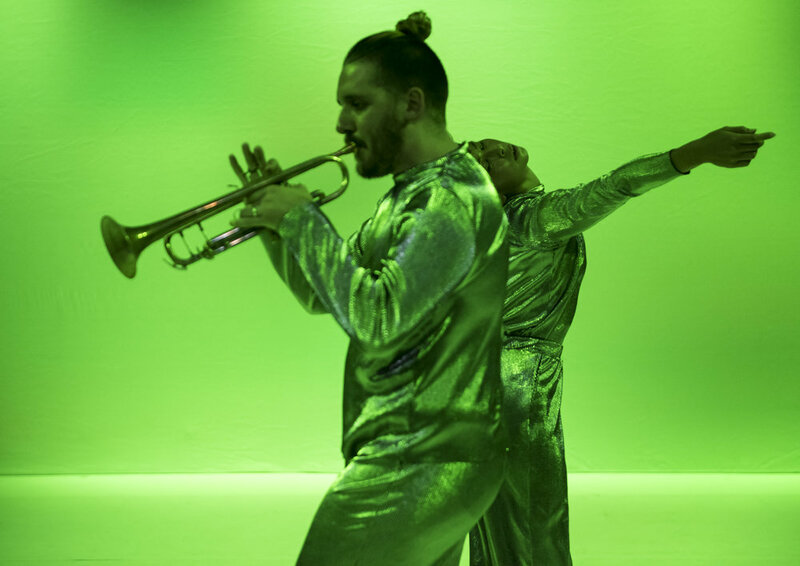 Memoir for Rivers and The Dictator is a choreographic work for dance and trumpet. As the human experience of time develops, the body accrues and absorbs various events, and with it, wisdom and value. Across generations the body becomes more and more of an archival document, mapping multiple histories of presence, perseverance, inevitable physical dissolve and reincarnation. Within this work, speech has a dramatic disposition, like history itself. For us as individuals and a collective, the emotion and energy of events that have passed (and those yet to pass) pervade our cells and our memories. Devastation and celebration, control and submission, flood our experience and one learns that personal power is lost and found from within. Through the performers’ exploration of various relationships and power dynamics experienced within history, it considers the body as the key resource for connecting with, understanding and responding to the activities of the past, and proposes a lens for observing and anticipating the impact of these events on our collective future. Each of us is the Landscape, The Dictator, The Public. Each of us is The Pacifist and The Aggressor. We are Time and Timeless – an artefact in flux. There is no linearity or central figure in this story. We are all part of this narrative. 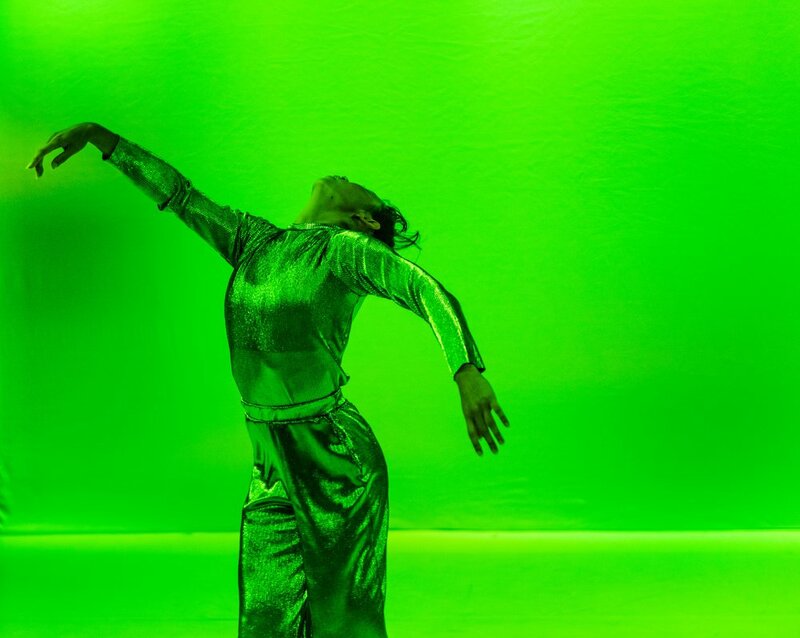 This project will premiere at Dance Massive 2019 at The Substation. * Memoir for Rivers and The Dictator was initially commissioned as a 20 minute work as part of the Keir Choreographic Award 2018. 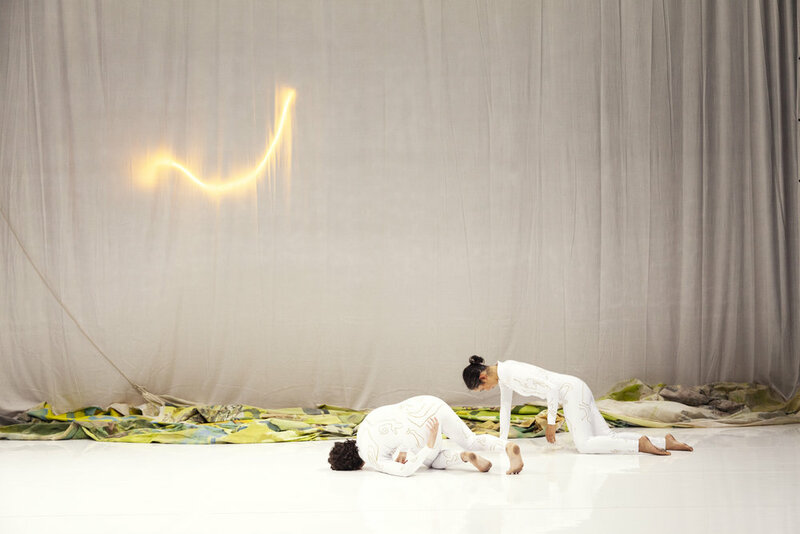 The award was generously supported by the Keir Foundation, Dancehouse (Melbourne), Carriageworks (Sydney), The Australia Council for The Arts and City of Yarra.